You have been working out consistently and eating right, yet results aren’t coming as they used to. When you start exercising after being in a sedentary state for so long, results are immediate and apparent. After months and month of performing the same routine over again, the body will actually get used to the workout and slowly stop showing results. When this occurs, there are three methods you can use in order to start kicking up your results. Method #1: Do Exercises with Complex Movements. Try not to choose exercises that target only one joint. These are known as isolation exercises and should be limited for now. Isolation exercises that you may be in your workout plan include bicep curls, triceps extensions, hamstring curls, and crunches. Complex movements are exercises that use several various muscles at once while will work the body and increase the production of fat burning hormones. Complex movements are basically exercises that are mixed together, such as doing shoulder presses with a squat in between each repetition. Method #2: Perform Exercises Slower. When exercising, the goal isn’t to finish as fast as you can. Rushing through your workout can have negative effects and can be quite counterproductive. The main concern here is the speed in which you lower a weight when weight lifting. Lowering the weight is actually more important that lifting it. Make sure to put your full focus in lowering the weight in order to get the full effects from the negative contraction. Method #3: Active Rest and Drop Set Exercises. Even though you are resting in between sets, you are only resting a specific part of your body. Other muscle groups can be working out during your thirty second to one minute rest period. Cardio exercises such as shadow boxing and mountain climbers are perfect to do as an active rest period. During your final set, it may also be good to what is known as a drop set. A drop set is a form of active rest that builds your muscle strength as well as endurance, which naturally leads to an increased fat burning process. It can only be done when you do a one set to failure weight lifting exercise. When you workout to the point of exhaustion, drop the weight by about eighty percent and do it again. You can even drop the weight as many times as your body can handle it. 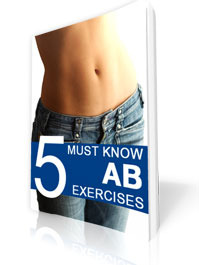 By utilizing the methods above, you will definitely start to see results show once again. Another method you could do would be to consult with a personal trainer who will know exactly which strategies you should use as well as provide you with their own personal methods that you may not find anywhere else. Our Personal training in Los Angeles is growing more popular every day, and the reason that is happening is because of the fact our personal trainers know exactly how to get you to your goal quickly and effectively.